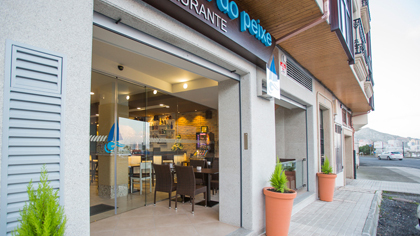 Restaurant A Casa do Peixe. Specialty dry eel, fish and shellfish. Muxia-Costa da Morte. In The Fish House the conger eel constitutes our great specialty, and is prepared in a traditional way in our family dryer. 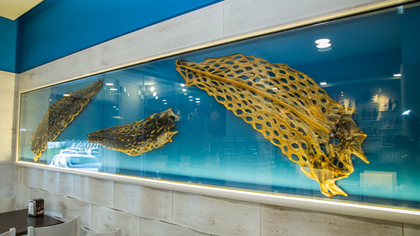 We also have an exhibition of conger eel in a glass cabinet and days dedicated to this product. We specialize in the native products of high quality from the coasts of Muxía and the coast of Death. 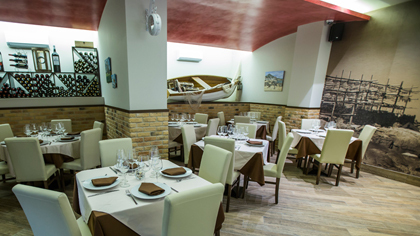 Gastronomy based on local raw materials, obtained from the rough seas of the Coast of Death. Next to the beach in La Cruz and the sports harbor, with a wide seafront walk just in front of the restaurant, allows us to enjoy some marvelous views.